I am looking for students who are interested in a research assistant position in the areas of computer graphics (human animation, perceptually driven graphics...) and human computer interaction. If you are interested in these areas, please send me an email to set up an appointment. This email should also include a CV and possibly a short description of your possible research interests. A list of recent publications. 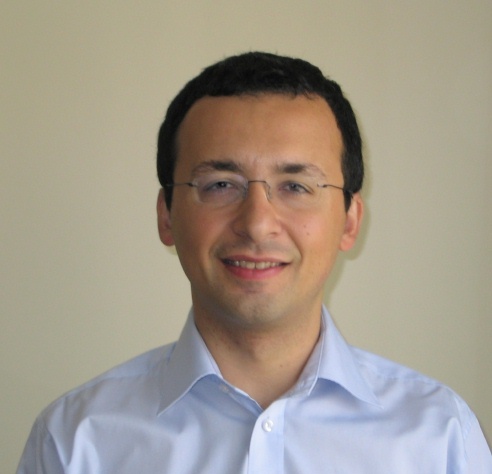 Abdullah Bülbül (Ph.D., graduated 2012) - first employment as post-doc researcher at University of California, Berkeley. İlker Yaz (M.S., graduated 2012) - first employment at Microsoft, Seattle. Sami Arpa (M.S., graduated 2012) - Ph.D. student at Bilkent University. Can Telkenaroğlu (M.S., graduated 2012) - Ph.D. student at Bilkent University. Işıl Doğa Yakut (M.S., graduated 2012) - Ph.D. student at North Carolina State University. Cansın Yıldız (M.S., graduated 2012) - first employment at Udemy, a start-up in San Francisco, CA. Emre Akatürk (M.S., graduated 2011). Cihan Halit, (M.S., graduated 2010) - first employment at Microsoft, Palo Alto, CA. Adil Yalçın, (M.S., graduated 2010) - Ph.D. student at University of Maryland. Mustafa Kabak (M.S., graduated 2010) - first employment at TUBITAK, Turkey. Yeliz Yiğit (M.S., graduated 2010) - first employment at "Yogurt Technologies", an animation company in Istanbul. Sercan Pekin (M.S., graduated 2010) - first employment at a startup company on mobile gaming. Mehmet Yıldırım (M.S., 2010) - first employment at ASELSAN, Turkey. Zeynep Çipiloğlu (M.S., 2010) - Ph.D. student at Bilkent University. Rıfat Aras (M.S., 2009) - Ph.D. student at the Department of Modeling, Simulation, and Visualization Engineering at Old Dominion University, Norfolk, VA.
Duygu Ceylan (M.S., 2009) - Ph.D. student at EPFL, Switzerland.